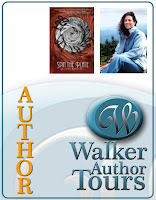 Today I'm taking part in Donna Anastasi's book tour for her new novel, Spin the Plate, with thanks to Walker Author tours. After enjoying a talk on research at our local writers' group and various guest posts on research, I decided it was time to do... some research. So the bed in our spare room (Mum's bed during her Christmas visits here) is covered with Bibles, commentaries, atlases, picture books, history books and more. And I've written the first eight stories of my next Five Minute Bible Stories book! It's going well, I think. I'm learning lots of "stuff." And I'm preparing a Bible study to go with it since my friends at our church's Coffee Break group have very kindly decided to keep me to task by letting me lead studies after Easter on what I've learned. Accountability is wonderful! Thank you friends. For anyone wanting to read the Bible studies, I promise to post them, one a week, on my Bible Study blog--#1 coming tomorrow! However, I've read several books in real print, where black on a pleasing shade of cream is so gentle on the eyes. So here are three reviews of real, paperback books and one kindle volume (though I'm sure you can get them all on kindle really). I've just drunk some coffee, but please find a mug for yourself before you sit down. My printer's still only printing in red and blue. Very patriotic I suppose on white paper, and I can color all my words purple, so they print like those old pre-photocopies all smudged in a dark smeary wash. I almost expect them to leave bruises on my fingers when I touch them. But I suspect any publisher I submit to would take one look and say no without reading the story. Ah well, at least it gives me time for a few more edits. My excellent beta-reader friend has already dropped some hints about where the story could be stronger. So Infinite Sum enters it's next, not yet infinite, editing cycle, while I'm still dreaming it will a) be complete and b) be published before an infinite time passes by. Today I get to welcome Lane Heymont to my blog. Lane Heymont is the author of The Freedman and the Pharaoh’s Staff, a time travel adventure set in post Civil War Louisiana. 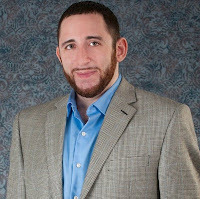 Born in Pennsylvania, he earned a BA in Liberal Arts with a focus on literature and history. He also holds a double minor in psychology and business. Currently pursing a Masters in Creative Writing at Harvard University, he has had several short stories published, one of which was recommended for a 2012 Bram Stoker Award. For more info, visit: www.laneheymont.com. and at the same time I'm delighted to welcome author SJ Byrne to my blog today with a cover reveal, teaser and blurb for her upcoming novel, Opal's Song. Only on the internet can we be in two places at once--how many places are you today? So, double your reading pleasure; read both posts and enjoy! Does Facebook hate shy people? Reading History and loving it!